Meadow wakes up one morning in a bad mood. She is mean to everyone in her family, so her parents ask if she’s lost her manners. Please and thank you have completely disappeared. 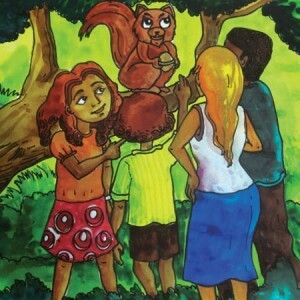 The family embarks on a journey through the summer garden to find Meadow’s manners, asking the creatures who live in the garden “have you seen Meadow’s Manners”. At the end of the day, Meadow finds her manners and realizes she’s had her manners all along. This story is a reminder that we all have manners but sometime we forget to use them.